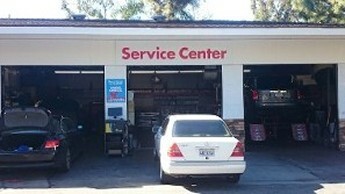 Anaheim Hills Shell and Service Center has a Full Service state-of-the-art vehicle repair department. We are AAA premiere approved and certified, and our technicians are known to be the best of the best in Orange County, California. All of our mechanics are ASE approved, master technicians. 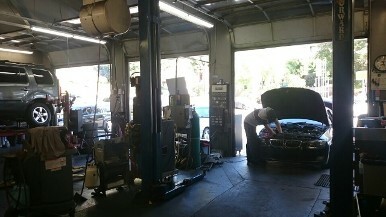 With over 35 years of business at this location we have been the residents of Anaheim Hills “go-to” Auto Repair Shop. Usually the first question that comes to mind with auto repair decisions is “Can we trust what they are telling us?”. We pride ourselves on honesty. Our Service Manager will explain in detail what repairs your vehicle may need, and why. He will also welcome any questions or comments you may have, as we want you to feel comfortable with the necessary repairs we make on your vehicle. Need a ride home or to work? We offer complimentary rides when you drop your vehicle off to be serviced! Please feel free to contact us for any questions or to schedule an appointment.